VATICAN CITY (CNS) — Acknowledging the uncertainty faced by many farmers, Pope Francis encouraged members of the International Catholic Rural Association to maintain as much as possible their traditional rhythms of work, family life and respect for the environment. 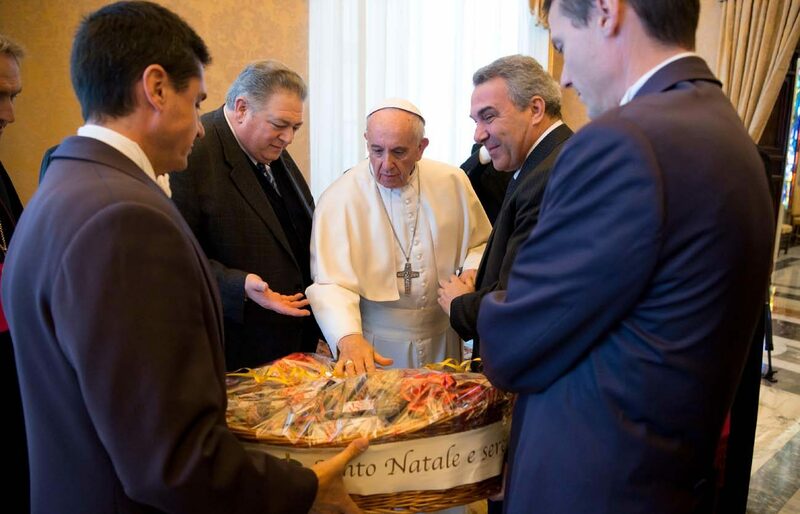 “In your efforts to work the land and to ensure its fruitfulness year in and year out, you also encounter difficulties resulting from climate change, a reality which is unfortunately aggravated by human neglect,” the pope told association members Dec. 10. Family farmers, he said, live the biblical ideal of working the land and making it produce sustenance while respecting creation and preserving it for future generations. Pope Francis especially asked the Catholic farmers for “an extra dose of humanity” in wisely using and ensuring access to technology. While agriculture is an essential activity and in many parts of the world remains the best response to poverty, it has become the victim of speculation and a focus on profits beyond all else, the pope said. “Solidarity itself, frequently invoked as a remedy, is insufficient unless it is accompanied by justice in the allotment of land, in agricultural salaries and in access to markets,” the pope said.